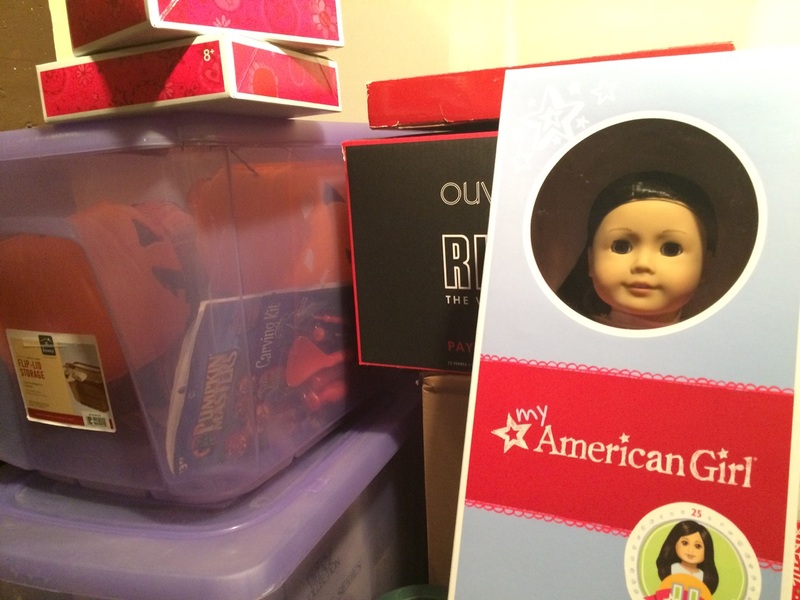 Yes, down with the holiday decor, golf clubs, and water heater is my…I mean my daughter’s American Girl doll. I ordered it when she was three months old. I always wanted an American Girl doll. I definitely wasn’t deprived as a child, but never had one. Mom and Dad cringed at the price tags, and who could blame them? Let’s get real here, American Girl products are insanely over-priced. Bitty Baby’s crib costs more than my daughter’s actual crib. I remember flipping through the catalog longingly, drooling over each page. Just like a junky fighting an addiction, I had to have one (I mean, for my daughter) even if it meant surviving on bread and water for months and stealing car speakers to sell on the black market. Obviously I’m kidding about that last part, but honestly, I do prefer to spend a little more on a quality toy that will last for years to come rather than shower her with a ton of gifts. The American Girl doll and her accessories are labeled “ages 8 and above.” This means, we have something like a mere 2,300 days until we can play with her, but who is counting? Realistically I plan to give the doll to my daughter when she is three. Are there any toys you purchased for “your child” that you really purchased for yourself?